I was tidying out some of my old stuff the other day (I still have unpacked boxes even though the boy and I moved into our house nearly four years ago!) and came across a box from university. Rather excitingly, it contained some lovely, sparkly gemstones. Not sure yet what I’m going to do with them, but am thinking it should be my challenge for the year to use them all! 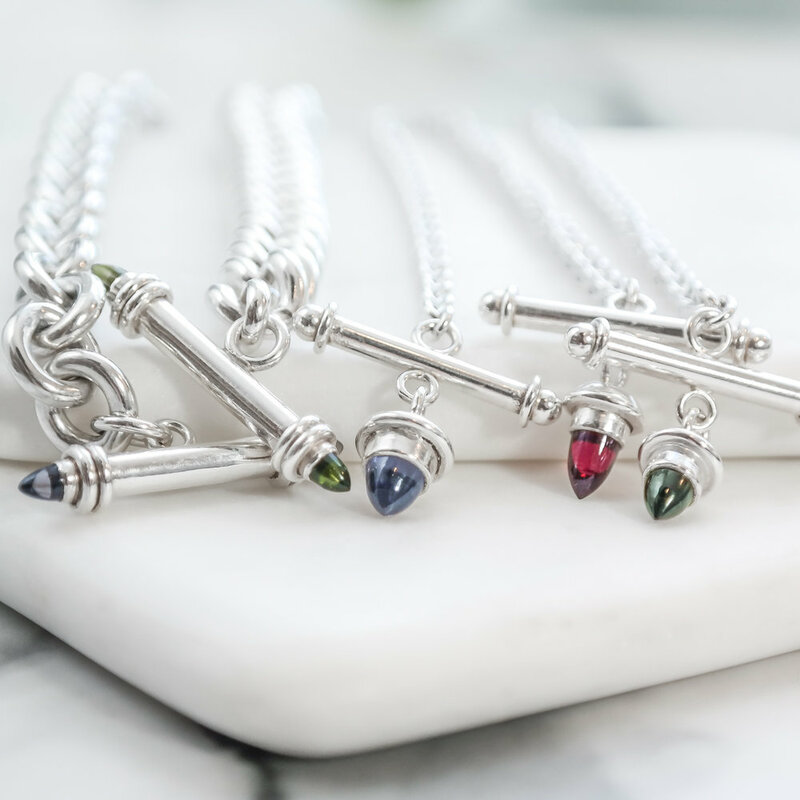 I also found these silver toggle necklaces set with coloured bullet gemstones that I made at my tiny kitchen table workshop after I finished college. I definitely had a thing for bullet gemstones back then, as I still have a bunch of them left! I think I might make some new settings for them and turn them into necklaces and rings.